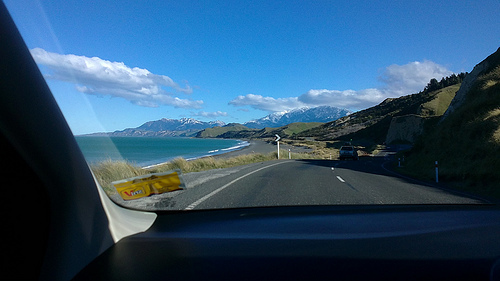 Travelling the scenic route from Nelson to Kaikoura is easily one of the most beautiful. For sheer drama and beauty, the Kaikoura Ranges honestly rival The Remarkables in Queenstown. The best part? You’re far more likely to have it all to yourself! 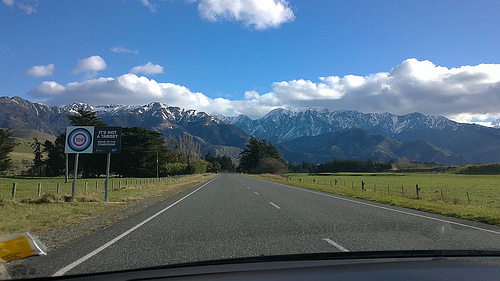 We took the SH1 Road via sunny Nelson – through the wine country of Blenheim and then onto Kaikoura. This is a spectacular scenic route through the South Island that you should definitely work into your trip! New Zealand truly is one of those countries which is best explored by driving. Unlike other countries with such spectacular vistas such as Canada, New Zealand’s driving distances are very manageable. You can also see a whole lot of diversity in the space of one day. From dramatic coastlines, to rainforest, to mountains in the space of just a few hours. Few places in the world rival New Zealand in this regard! It’s what makes it such a fantastic place for old-fashioned road trips. It will take you just over 3 hours to reach Kaikoura from Nelson, so you have plenty of time to make a day trip of it and take some excursions along the way. This route will take you right through Blenheims fantastic wine country, and lovely nature stops such as the Pelorus Bridge Scenic Reserve before hitting the coast with State Highway 1. The views down this coastline are spectacular! The road is right next to the ocean pretty much the whole way down – you will want to have your camera handy! Note: Just in case you’re wondering, the above sign shows a bulls-eye design with the number “100” which reads “It’s not a Target, drive to the conditions”. Yes, some of us need a constant reminder. New Zealand roads frequently take travellers by surprise. Although everyone knows about driving on the left, the road conditions will likely be very different than what you are used to. Outside of Auckland, the largest city, you’ll find very few busy highways. Whilst this is what makes driving in this country so scenic, road quality is variable. It’s not unusual for a ‘main’ road to suddenly become unpaved without warning in rural areas! Roads also tend to be much narrower and windier in provincial areas, especially in the South Island. So, even if the speed limit says ‘1o0’, you’ll probably have to spend a lot of your time in the 70km threshold to get around safely. For this reason, travellers often underestimate how long to will take them to get from A to B. Remember: A distance of 50km will take you much longer on a windy road than a straight one! Add an unfamiliar car into the mix, and it’s much better to be safe than sorry. Try to be generous with your time estimates when going from place to place. After all, you will definitely want to stop for photos! On the 14th November 2016, a massive 7.8 Earthquake occurred just 60km from Kaikoura, which lasted for over two minutes. The town was badly damaged, and almost completely cut off due to huge landslips both on State Highway 1 and the Inland Road. Some of the biggest slips were over 100 metres in length! As a town which relies heavily on tourism from its marine wildlife, this was devastating for the local economy. It took just over a year for the road to be repaired, an incredible feat of engineering which had people working in shifts around the clock. Thankfully, the quake and resulting aftershocks didn’t scare away the visiting seals and sperm whales from the area, and Kaikoura’s famous wildlife cruises and whale-watching tours continue today. You can read about our most recent trip here. The area has been through a lot in the past few years, and if your tourism dollars are deserved anywhere, it’s right here. Kaikoura is an incredibly special place for travellers and New Zealanders alike, with the spectacular backdrop of both the ocean and the Kaikoura Ranges. It’s well worth spending some time to explore what Kaikoura has to offer. With the road now back in business, you should face no delays on your trip down from Nelson to Kaikoura. Just 40 minutes out of Kaikoura, we highly recommend shopping at The Store in Kekerengu. The Store really is a destination in itself – with a large restaurant designed with sloping cathedral ceilings. In winter, the open fire will warm you from head to toe! You also get wonderful views from the restaurant over the coastline. Once you finish eating, head down to the beach behind The Store (takes only seconds). Here, you’ll find your own solitude – there’s plenty to be had in this region! 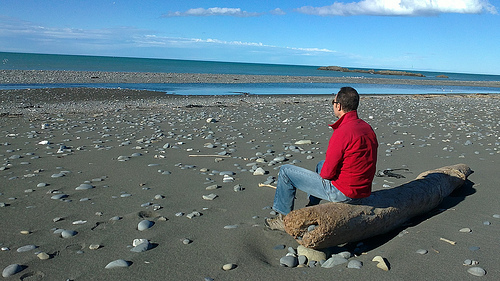 There are a number of accommodation options in central Kaikoura and its surrounds. 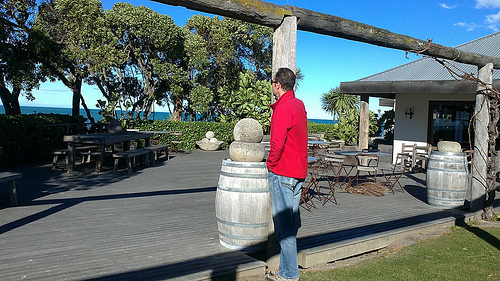 We chose to stay inside the Kaikoura township at Waves on the Esplanade (Kaikoura Apartments). Since our stay it’s been under new management, so we hope the standards have remained the same. The Waves are very nice 2 bedroomed apartments. They are spacious and very well equipped with two bathrooms! Each apartment is built on an angle to maximise the mountain views. There’s a lot to do in Kaikoura from whale watching, surfing, walks, and even fishing charters where the crew will fillet your catch! We recommend spending at least two full days here, so you get to experience everything it has to offer. There’s a great fish ‘n’ chip shop in the main street. For something special, you might want to dine at the wonderful Green Dolphin which is located just outside the main township. The Albatross Encounter Tour especially is a fantastic tour that is unique – there are few places in the world where you get to see these majestic creatures in flight! And of course, you can’t visit Kaikoura without going whale-watching! The scenic route from Nelson to Kaikoura is a drive not to be missed – there are few journeys are relaxing as this one in New Zealand.